Pictures Half or Full Greyed Out? Here Is The Real Fix! Learn 5 Easy Solutions To Fix And Recover Corrupted Half Grey Photos! Summary: Is your photos greyed out? Is your pictures showing half or full grey or black? Or grey box covering your images? Just calm down! In this tutorial we are going to present 5 solutions that will help you to fix and recover half greyed out pictures, images showing half or full grey/black or grey box covering your photos. For easy, quick and direct solution, it is recommended that you must use JPEG Repair software to fix and recover half greyed out JPEG pictures. Efficiently fix half grey jpeg photos, full black/grey jpeg pictures, grey box covering jpeg images from bottom/top/left or right. Fix half grey pictures that got corrupted in Android, iPhone, digital cameras, Windows, Mac, external hard drive, memory cards, USB drives or other media storage devices. 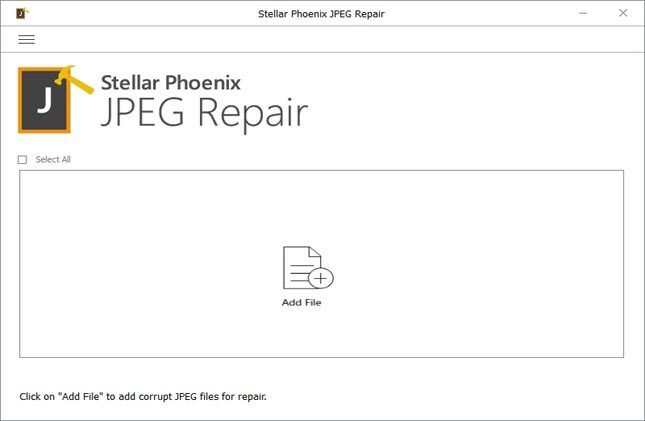 Fix multiple damaged or corrupted JPEG files at one time. Preview fixed or repaired JPEG/JPG photos within software before final recovery. Sometimes, you may get shocked to see that your photos, particularly your JPEG images saved in your Android, Windows/Mac computer, iPhone, SD card, USB drives, digital cameras or some other devices shows up half or full grey/black. There are many users out there encountering with such issues. For example, we have taken some real users practical scenarios! Why are the bottom half of my images gray? I am experiencing what appears to be a corruption of some of the jpg files on my hard drive. The file will often load fine from my camera card or scanner and appear OK but at a later time it will “lose” some of the color on the image. The bottom half (more or less) will be discolored all one hue (red or blue) or sometimes just darkened slightly. Does anyone have any experience and/or fixes for this problem? Just like above practical scenarios, there are several users out there facing such problems. I know you might be thinking – what makes pictures/photos/images half or full greyed out? Well, there could be several causes. Some of the common causes are mentioned below! Causes: What Makes Pictures Half or Full Grey/Black? One of the prime causes is that your photos have got corrupted or damaged. Images does not get transferred or copied completely or properly. Interruptions while transfer of photos is in process. 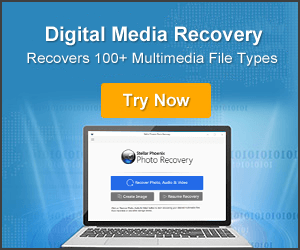 You have used untrusted or unreliable photo recovery software to recover your deleted photos. The photos you saved in hard drive, memory card, digital camera, USB drive which has physically damaged or corrupted. Above mentioned causes are encountered by many users out there and made their photos half or full grey or black. 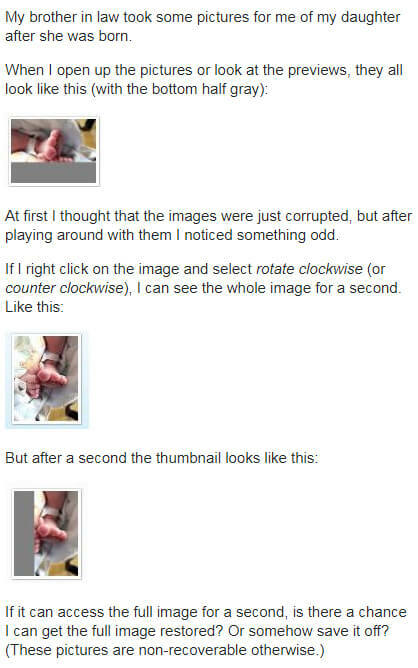 That’s why many people ask why are my pictures greyed out? How to fix corrupted picture which shows up half or full grey/black? How to fix half grey pictures on Mac or Windows? Or questions like that. Well, it doesn’t matter whatever may be the causes that makes your photos half or full grey. 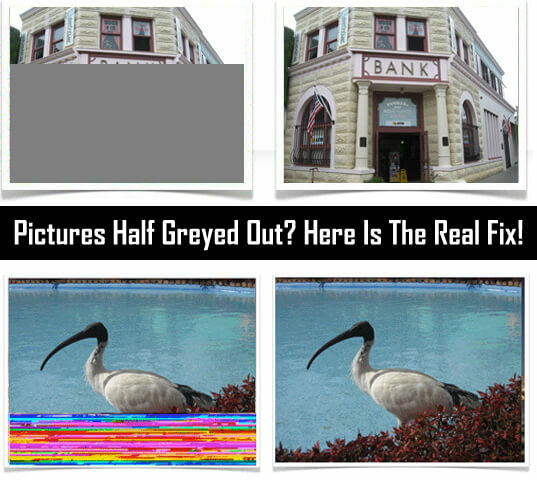 Here we bring 5 easy solutions that you can follow to fix your half or full greyed pictures. Additional Reading: Why Photos Becomes Corrupt or Unreadable After Recovery – Reasons and Solution! If your photos have been downloaded incompletely or if photos have not been transferred properly due to improper internet connection, sudden computer shutdown, etc can cause your photos to appear partially. So, try downloading the photos again or transfer them again properly. It is always suggested that you must keep a habit of backing up your important pictures to handle any corruption or loss of pictures. So, if you have kept the backup of your half greyed out pictures, then simply restore the original pictures from the backup. In major cases, Command Prompt fixes minor corruptions in picture on Windows computer. Below follow the steps to fix half missing parts in photos. On your computer, click Start and type “cmd” in search address box. Right-click on CMD and select “Run as Administrator”. This will open a new command prompt window, now type “sfc/scannow” and hit Enter. Once the scanning process gets complete, you can then open and view your photo. I hope your problem might be solved. You can try to fix the corrupted half greyed out images by opening them in image editor software. Open the half greyed out images in software like Photoshop, Photoshop Elements or any other photo editing tools. Make some minor changes and “Save As” the photos to the same destination path, overwriting the original greyed out photo. Most of the time this solution has helped many users to fix the issue as it writes the missing data in the photo file, which might be missing in the original photo. 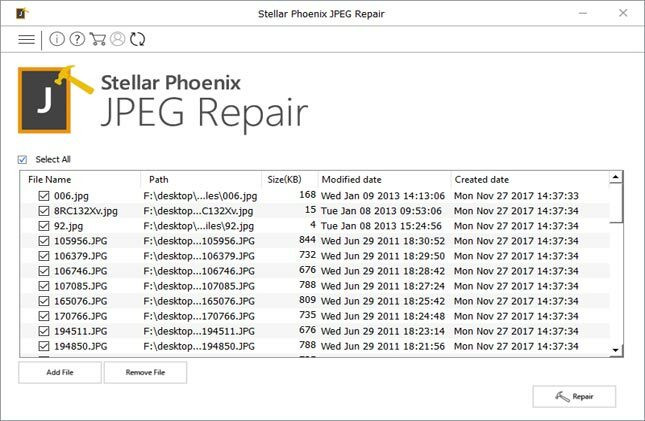 JPEG/JPG photos which are half or full greyed out or black out or having grey linings or missing parts can be efficiently repaired with the help of JPEG Repair Tool. This half grey photos recovery software is available for both Windows and Mac computer, hence you can easily fix half grey pictures on Mac as well as Windows PC. Please note that you will find several photo repair software out there on internet, but most of the software are not smart enough that can help you to fix half grey pictures. But this JPEG Repair software effectively fix unreadable JPEG with corrupted header, invalid or unknown JPEG marker, invalid JPEG file structure along with maintaining the original quality of the photo. 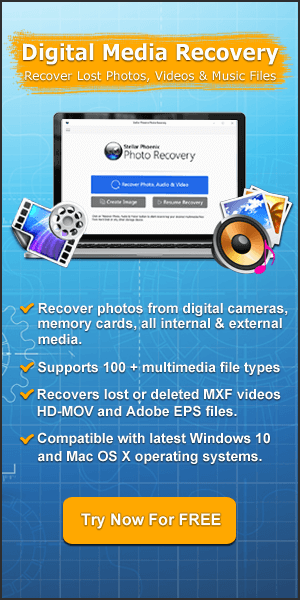 Repair severely corrupted pictures and recover them with its thumbnail recovery features. Quickly repairs multiple images at a time. 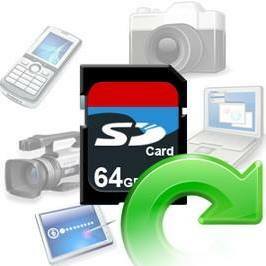 Support all types of media storage devices such as SD cards, HDDs, digital cameras, USB drives, Android, iPhone, etc. Preview repaired images in the preview screen of the software. Available for both Mac and Windows computer. Safe, secure and easy to use. Below follow the steps to fix and recover corrupted half/full greyed out JPEG/JPG photos by using JPEG Repair software. Those were the five solutions that you can follow one-by-one to repair/fix half or full greyed out pictures. 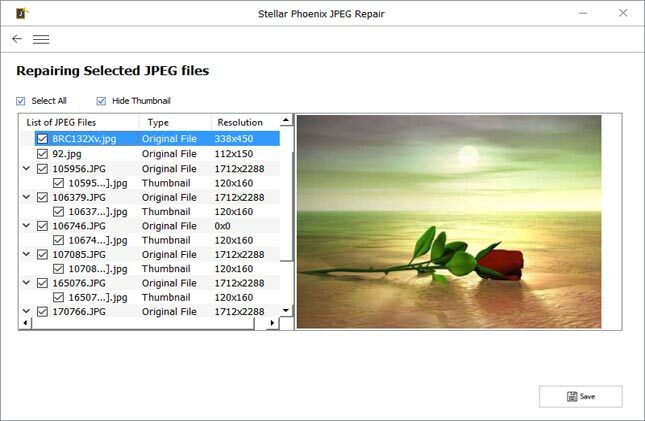 However, if solution 1 – 4 fails, then it is highly recommended that you must try JPEG Repair Tool mentioned in solution 5 as it is specifically designed to repair corrupted or damaged JPEG photos. 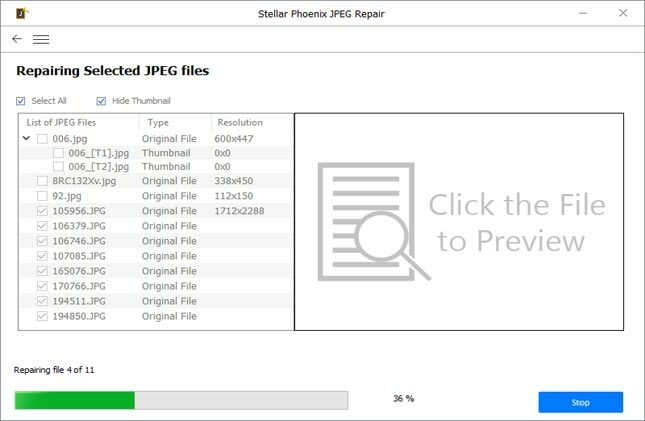 And if your JPEG/JPG photos are showing half or full grey/black, then this JPEG Repair software will help you to effectively fix and recover them back in just few mouse clicks. Pictures Half or Full Greyed Out? Here Is The Real Fix!1: Download The Photos Again. 4: Open Greyed Out Photos In Image Editor. 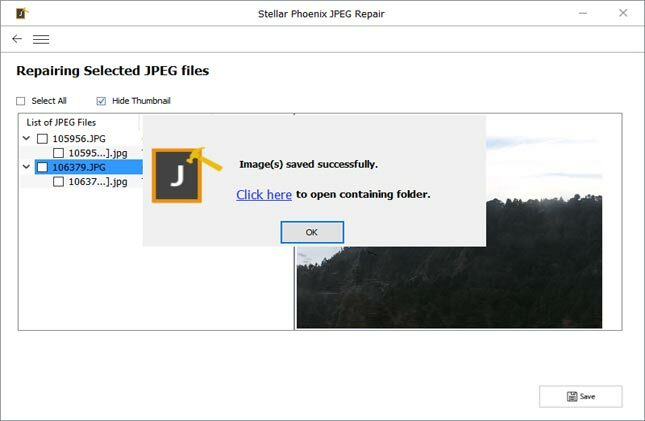 5: Repair And Recover Half/Full Greyed Out JPEG Files Using JPEG Repair Tool. gray box covering my pictures half grey photos recovery how to fix corrupted picture which shows up half or full grey/black how to fix half gray pictures How to fix half grey pictures on Android how to fix half grey pictures on Mac how to recover half gray photos Repair bottom half of picture is grey Why are my pictures greyed out?